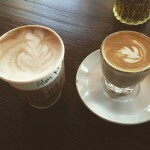 The other day I was having a business lunch at Thai Elephant in Tempe and decided to get coffee after my meeting. 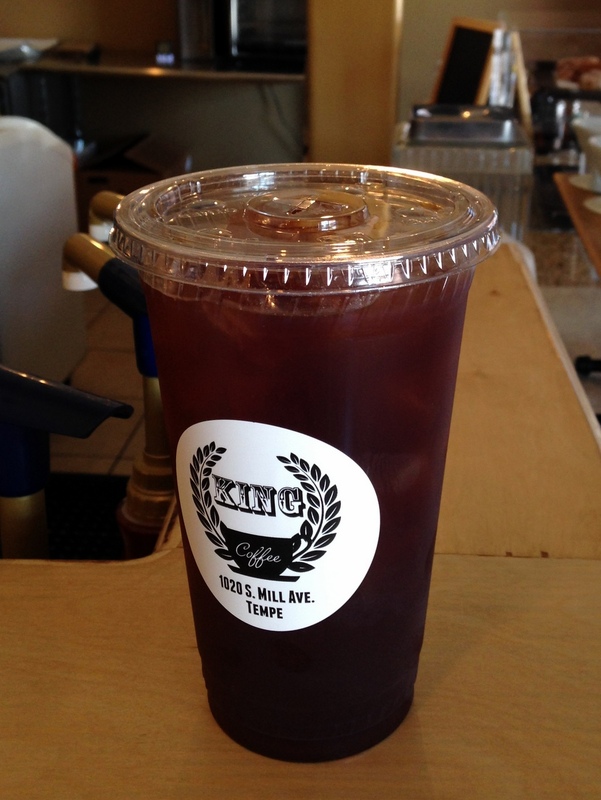 I had heard about this new coffee shop called King Coffee and decided to check it out! 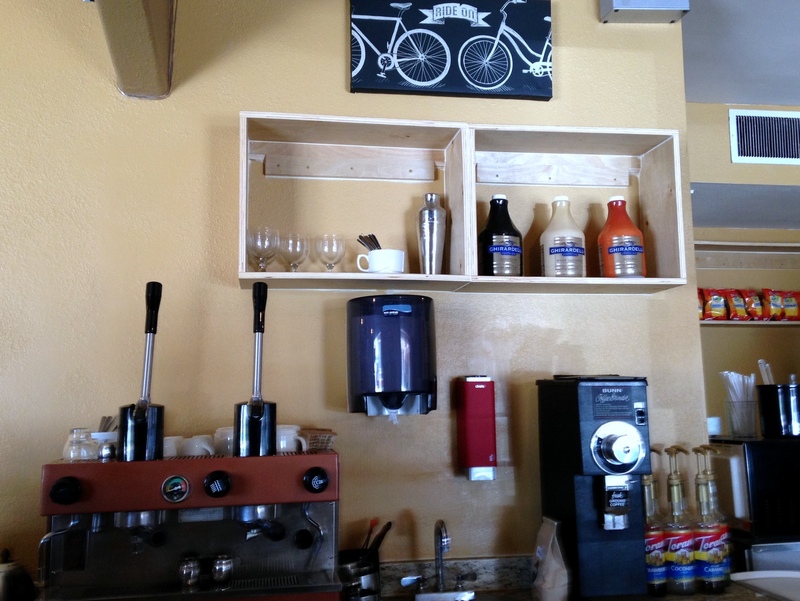 King Coffee is a micro-coffee shop located on Mill Ave. just across the street from Gammage Auditorium. They’ve got their own parking lot which is convenient. 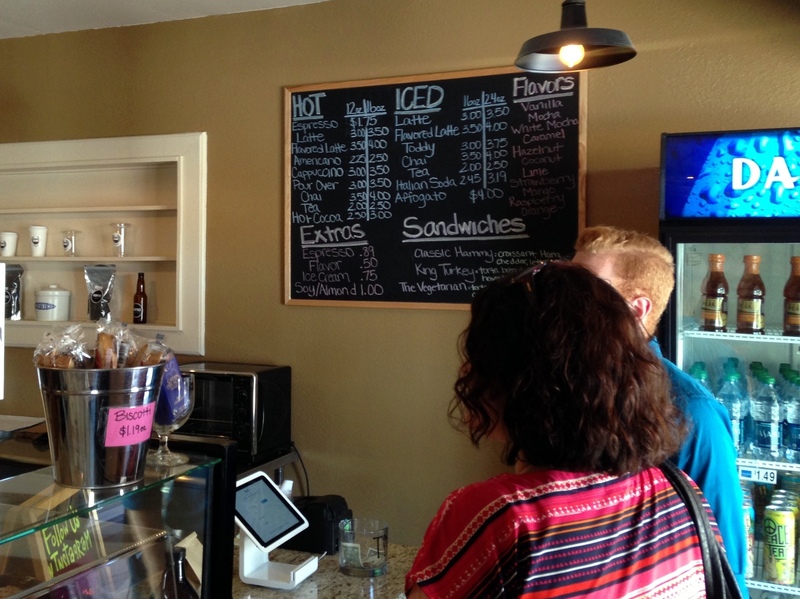 Inside, is a small coffee shop that features a coffee bar directly central in the store, with seating all around. This location used to house an ice cream shop. I ordered a cappuccino, despite the 110 degree day. Even the barista thought I was crazy to order a hot drink on a hot day. I also ordered a toddy, just to compensate. 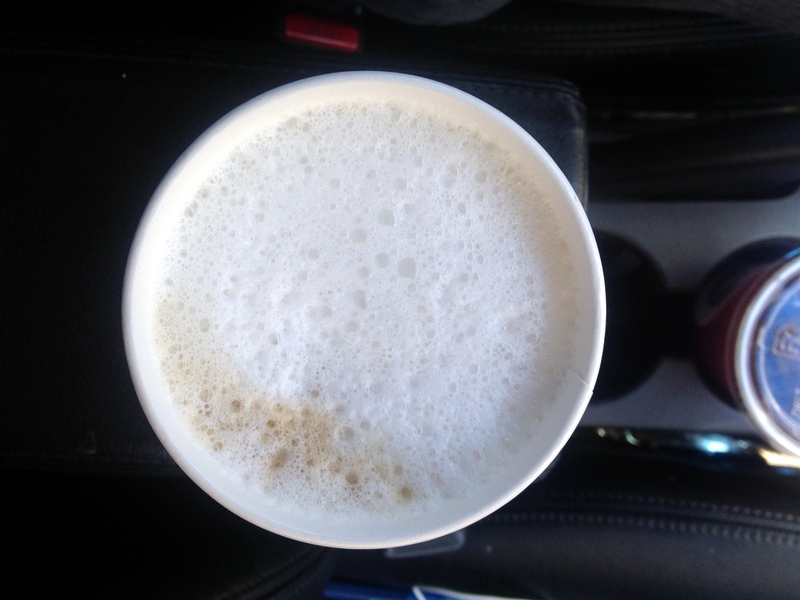 The cappuccino was actually pretty good, despite being served in a to-go paper cup. The iced toddy was flavorful and smooth. Nice flavors. 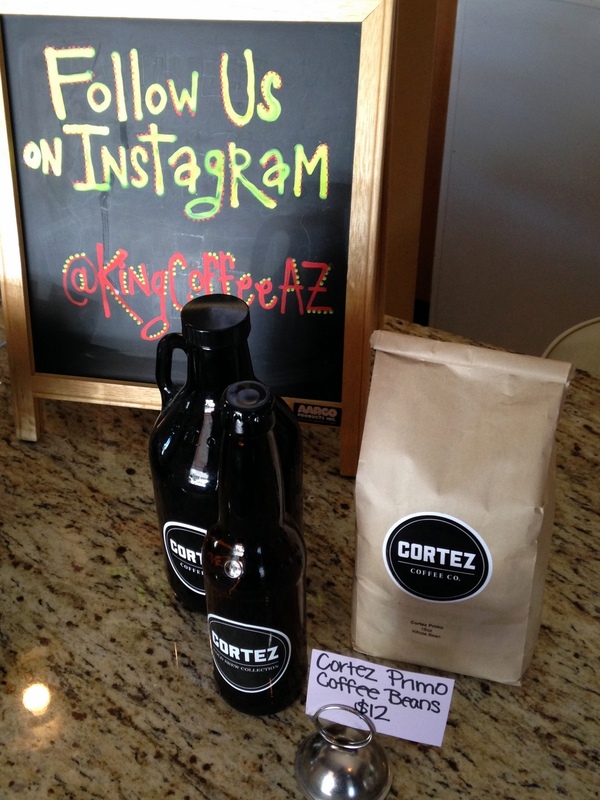 King Coffee is serving coffee from Cortez Coffee, also based in Tempe, AZ. King Coffee is located in the heart of ASU, and most of the people there appeared to be college students or locals looking for a cool place to hang out and study or get some work done. 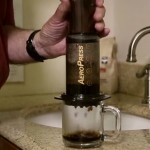 The small-building (probably under 500 square feet) certainly provides a comfy and cozy atmosphere.